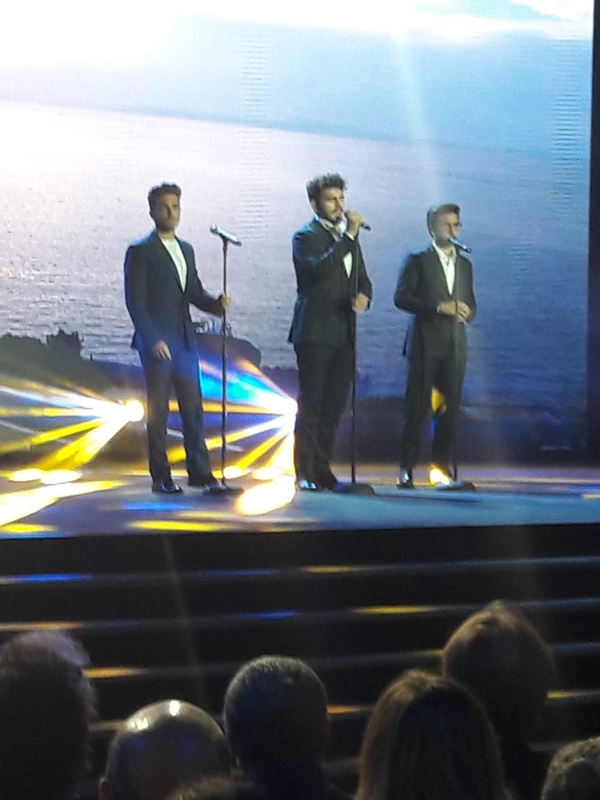 With the approach to the start date of the Sanremo Festival, IL VOLO was interviewed by Radioitalia. PRESENTER = I’m punctual today too. Today I have to present three great voices, three great artists: IL VOLO, hello guys. PR = I have made the first compliment to you and you laugh so? P = We laugh for that. PR = Why, are not you great artists? You are! G = Also, it is also nice to remind the audience that I was born on the same day, 11 February, that we last participated in the Sanremo competition. PR = I do not know, I know the Aquarius because it is our sign and then …. then, I inform myself. PR = So, welcome back to Sanremo, in the race, I have to say, because in Sanremo you were there last year, nice, it was a great participation. You come back to Sanremo, because logically, you have a track in which you believe very well, come back to Sanremo, because in Sanremo, good or bad, you are born, and because you celebrate 10 years of career. P = Exactly, we celebrate 10 years of our friendship that binds us, the passion that unites us, we could not choose a better stage the Ariston (the theater of Sanremo) which saw us born 10 years ago and we wanted to celebrate this goal together. PR = Gianluca, do you want to talk about it, and tell us something about the song entitled MUSICA CHE RESTA? G = To remember that Grande Amore has given us so many emotions, so it’s one more reason to come back, we are fond of this stage, but especially this song, we believe a lot, in this piece, because the important thing is to get to the people, win people’s hearts, this is the most important thing. PR= You always come to the people, anyway. Listen, Ignazio, can we imagine/anticipate a pop-lyric song? I = I think an artist never wants to lose his personality, then surely it will be a big surprise, we would like to say anyway, that among the various authors and writers of this song, there is also Gianna Nannini, whom we value a lot, and we are really happy to have her on the team. PR = Ok, very well, so great return to Sanremo. I’m thinking about 10 years, you are very young and have already played the most important stages in the world, you duet with the most famous international stars, you have made a journey that an artist, even in 50 years can do. Sometimes you stop to think about this and you are afraid of having burned the stages, apart from that, your dear friend Michele Torpedine will invent one every minute, but do you think it all happened too quickly? P = We met at the age of 15, our teenage period was different from that of our peers, but, as you said, Michele Torpedine invents one opportunity after another, so it’s never enough. When we are on a stage, we always think about the next one. PR = But are you happy to come back to Sanremo? I feel you are a little like this ……. are you excited? I = It is a stage that always creates a little anxiety. PR = You are on another stage right now, but we’ll think about it in a few days. G = Also here we had a beautiful concert in 2015. I = And sure Radioitalia will invite us again this year. PR = I know that then there is another beautiful international project, a right album, of unpublished songs and not ..
G = Yes, it will be a surprise, we cannot tell you more, it will be an international project, where there will be new songs. I = We can only give you a clue. I = This year we celebrate 10 years, so we are very happy. P = and in the album there will be MUSICA CHE RESTA …..
PR = All right, I cannot get more information from IL VOLO, it is so, but we will listen to them in a few days on the stage of the Ariston. We are very happy of your return to the race. We love you. P + G + I = Thanks, us too, thank you for your affection. They said many things but did not reveal anything, but, reading between the lines, maybe a few hints to a further album there was. What do you say if the output CDs were two ??? Previous PostTheir New CD! (and how to get it! )Next PostIt’s Birthday Time Again! Gianlu! Thanks to you Anna you read and appreciated. Thank you as always for your translations. I viewed the interview but could only understand a few words. I must begin to learn Italian. It is wonderful to have you provide the meaning in English. I am very excited for Sanremo and wish IL VOLO the best. My prayers are with them during this exciting flight. Cristaldawn, thanks for the compliments. Yes, it’s true, they will come to Matera on June 1st. I have translated the whole conference and you will read all their program, maybe even tomorrow. I too can not wait to hear their songs and see them in Sanremo. Daniela, again, I wish to thank you for your time and thoughtfulness for constantly passing along the information and translations for all of us out here in “Il Volo World” You bring so much to the added enjoyment of “our trio Il Volo”. I appreciate all you do. Thank you so much, Connie. You must know that I have translated the entire press conference of IL VOLO, it is long but really beautiful, there are many news and the guys have said many things with their hearts. You will definitely like it. I just hope any new CDs are the genre we love to hear these guys sing. 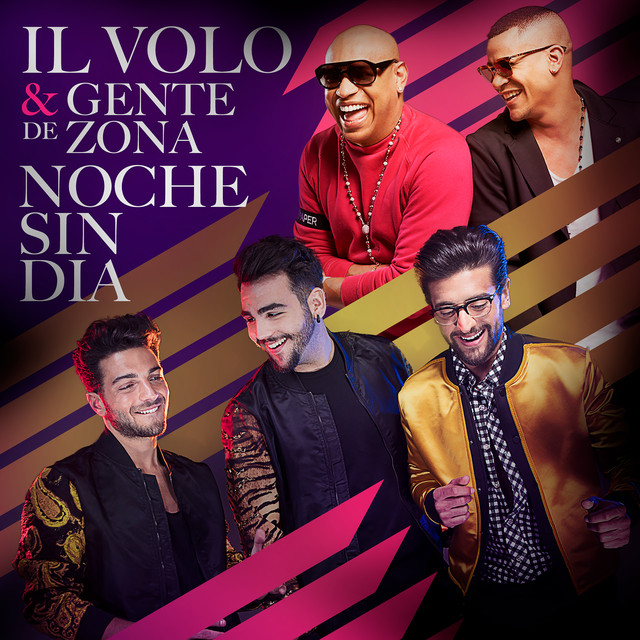 Their voices are incredible when they sing some types of music, but not as beautiful on others such as the Latin Pop CD. They sounded just like every other pop singer. I’m not saying it was bad. I’m just saying it didn’t show off their incredible voices like some of their other CDs do. Debi, wait for the translation of the press conference they had. In that conference they explain very well everything and in any case the new cd, has nothing to do with the Latin one. Dear Daniela thank you so much for translating yet another interview it means so much to understand what is being said. I don’t understand why IL Volo would decide to be in the San Remo competition again. It was so nerve racking for me I don’t understand why they would go through all that nerve racking week again. I know it’s their ten year anniversary and that the theater is special to them but wjat I would have done was start the Italian leg of their touring season at that theater doing the songs from the new album and songs from their past ten years together. That sounds better to me. I wish IL Volo well in whatever they decide. I do love those three guys so. Luckylady, I struggled too much to understand why they were returning to Sanremo, but I think they are daring, instead of doing, comfortably guests, they get back into the game, great honor to them for this, I think they want to show for the umpteenth time that they are not little boys without a backbone, they work, study, renew their repertoire. Very good guys. First would like to thank you for all of your hard work in translating everything so that we are informed as to what is going on. I was just wondering if you have any idea of why the US tour was pushed back to 2020, as we were expecting it to begin in March of 2019? Came as quite a surprise to many of us. Ciao Susan Medal, thank you for your compliments. I too was disappointed by the shift to 2020 for the American tour, Torpedine had always said March. I think it was due to the participation in Sanremo, which was confirmed in December. You think that if they win Sanremo, they will go to Eurovision and this race is held on the same days as the concert in Japan, so in that case they will be forced to cancel the concert. Susan. but what a beautiful thing you have prepared, simply marvelous. The boys will like it very much. I’m even more sorry that they do not come to March. But you exactly where you live? Be patient, I try to find a solution. I will answer you again after this message, so keep it observed. I live in southern New Jersey. I am 1 1/2 hours from New York City, and twenty-five minutes from Philadelphia. Susan, thanks for the information, now I try to know how to help you with the delivery. Thank you for your kind efforts on my behalf. I have many UPS stores near me and can send them to Italy via UPS. I would just need a contact person to send all 3 of them to that could get the puppets to them. If not I will just wait until 2020 but I think I will have problems getting permission bringing them into the meet and greet and then they will have problems touring with them and getting them home unless they UPS them home before they leave the states. I am expecting to receive the copyrights for them this month and when I do I can send you a picture of them. The puppet maker used UPS to mail them to me. Susan I activated myself to solve your problem. Do you have the possibility to send me an e-mail here? Daniela, I wrote that previous reply to you before I read this page! So I am not dreaming, they did say there would be another CD. Certainly the amount of time they have spent in the recording studio is more than enough for one CD. Maybe the second one comes on their anniversary! Penina, you believe me, when you wrote that phrase, I checked twice if this interview had already been published. In fact, from some answers it is understood this way, but we take everything with the tongs, they said many things (like the March tour then postponed) The idea of ​​2 cd was born from the fact that the boys have always talked about an entire cd of all unpublished, and then Torpedine said of a CD with the most beautiful songs from all over the world, so it was thought to 2 cd. But now that we know that the new CD MUSICA contains both 3 unpublished songs and beautiful songs from all over the world, I’m no longer sure of the 2 CDs. I thought they said there would be an anniversary album, and I did not think this was it. But maybe it is! As you say, it is hard to interpret what they meant,. Thank you so much for translating this interview with the boys. I enjoy your effort in letting us know what’s going on! Thanks Lois, there will be another even longer translation. You will like it. Beverley, thanks for the appreciation, when I see an interview that says interesting things, I immediately think of translating it to you. Right now they are doing a lot of interviews and there are many repetitions, but I think today you will read the press conference, it’s really interesting. Thank you Daniela for this new translation . You help us so much keep in touch with what is happening for the guys. As was previously stated, they are veteran interview subjects and they know just how much to say and what not say. The new CD looks like it will be very enjoyable in their traditional style. I am eager to buy it as soon as it is available in the US. Janet I thought the same thing, I’m really very professional in the answers and very polite and friendly …… how can you not love them? I have also seen the list of US cities, I do not publish it because it was not officially given so I do not want to give false hope. The Italian dates are not yet decided, but the beginning is expected from the end of May on, but everything can change according to the results of Sanremo. I’m thinking that they are thinking (Torpadine and who ever else) that if the USA is last on the tour list that they have room to shuffle around concert dates and venues if more cities want to get on the band wagon in the US and be added to the list to host a concert, especially after we have seen the PBS special. We have a lot of large metropolitan areas. With no other countries following the US, there would be possible easier arrangements to have “add on’s” without disrupting the dates and venues in other countries. So, if we have to wait a little longer, at least we know they are coming and with patience there may be a few extra concerts in the US. Or maybe I just don’t know what I’m talking about. But Mark–half the fun is speculating on what will happen next! Keep hoping and dreaming–we are all in the same boat! Mark, I thought the same thing. Unfortunately, this year there are many commitments and come there, meant, take a short tour. Instead, after a good anticipation with the special PBS and after having already activated other concerts before, they can enjoy the American territory well. I know there is so much time to wait, but these days, they are doing a lot of interviews and it is clear that they speak with much respect and affection of the American public. and then, as we say … ….. dulcis in fundo !! Hi Daniella…I just lost my original reply, so I’m trying again. Thank you for everything you share. I am here in America, don’t understand much in Italian (yet) so I am grateful for your translations. I love the guys and am always thrilled to hear and see anything about them. I am very excited for them in SanRemo…they will be in my thoughts and prayers. I’m trying to find their last albums here but have not been successful. I’d like to wish Gianluca a very beautiful Happy Birthday filled everything he desires. He has awakened my heart, and I am eternally grateful to him for that. I am in America, true, but I am a Forever Follower. Grazie!! Hi Eleanor, I’m glad you liked the translation. Follow this site, because there will be many translations and events during this period. You do not have to lose anything. Daniela, you are a miracle for so many of us! Until you devoted so much time to Il Volo and to those of us without Italian we were pretty much lost! Do you think part of the reason the guys are keeping closer to home this year might be that they have established relationships that are more important to them? They are the right age after all. When do they actually preform at Sanremo? Will we be able to see it in real time, if so how? More music from them the better. Love them and wish them good luck in San Remo.